Anywho, I'm in a ranty, kinda-crazy mood today, and I think I found the perfect topic for discussion. And it's one that I'd love to hear your opinions on, because it's a topic that's left me scratching my head, Stan Laurel-style. Today I'd like to talk about Wizard Magazine, and the decision of the publisher to eliminate the comic book price guide section of this...um...comic book price guide magazine. But before we do that, some background on the magazine. Founded in 1991 by then-college student Gareb Shamus, Wizard: The Comics Magazine (and later, Wizard: The Guide to Comics) began as almost a fanzine. Only, the book wasn't so much about the creators and the story lines that were big in comics at that time. Instead, Shamus put a heavy emphasis on the business side of comics--namely, the buying and selling of them. Wizard is/was responsible for the labeling of "hot" comics and creators, and it has propagated this almost stock market-like mentality in the industry over the past two decades. Recent books sell for what they do at shops, conventions, and online auctions primarily because of how they are priced in Wizard. And, sure, the magazine gets these numbers from recent sales data, but when Wizard marks a book "hot," that title automatically goes through the roof, price wise. Over time, the magazine evolved, and the company that Shamus grew around the magazine has become one of the biggest forces in the comics industry, and in pop culture today. Shamus has built an empire of all things dorky, from his publishing giant to his conventions that dot the calendar every year. Wizard gets a tough rap sometimes, mostly because of its role in the boom and bust of the 1990s, and mostly because of the somewhat lowbrow humor featured in the mag. Even though the book is written and edited by talented adults, many of the features in the book tend to read as if written by a 13-year old with a propensity for fart jokes. Because of this, many people like to point to Wizard as a main source for the image and attitude of the stereotypical comics fanboy. Unfair to a certain extent, but covers that feature more boobage than anything else tend to leave society at large frowning on the comics community. So, with that brief introduction out of the way, let's get to the issue at hand--the un-price guide-ing of the magazine. Now, I get that Wizard wants to move away from being a price guide, and instead it wants to be an " all things pop culture" magazine, but I'd like to be six foot four and sleep on a bed of waffles. But that ain't never gonna happen, Bucky. What I'm saying is--it's never prudent to be something that you're not. Wizard is, was, and forever will be a price guide in my mind. Sure, it's a price guide wherein prices sometimes (usually) seem almost arbitrary and more than a little insane, but hey. That's the nature of the beast. The comics industry rose and fell and rose again since Wizard's inception, and love it or hate it, the magazine is a part of the historical landscape of comics. It was a crucial component to the 90's boom, and it played just as big a role in the 90's bust. For years, it's been a once-a-month staple on every comic shop counter in the country. And I have read it, month in and month out, since 2003. I started reading comics that year, and buying a Wizard was one of the first things I did. It was actually their big Zero issue, and it was packed with interviews and fan awards and all kinds of things. And I still have it--that Jim Lee/Joe Quesada cover is still pretty ingrained in my memory, and to this day I think it's the best issue of the magazine I've ever read. Isn't that the case with most things? One's first exposure to something is remembered most fondly, and yes, I know I've bashed comics fans who want every character to be just like he/she remembers them when he/she was 12 years old. But that issue of Wizard did something that has been done rarely ever since--it focused on comics and comics people. And comics. There was an incredibly insightful interview with Neal Adams, and there were two (count 'em, two!) comics inside. One was a stand-alone three or four page Batman story that bridged the gap between issues of "Hush," and the other was a six page preview of a Marvel book. There were countdown lists, and a big price guide section. There were blurbs on hard-to-find collectibles, and even a "this month, ten years ago" page that was very interesting. The magazine felt cohesive and the whole package was just...impressive. Today, I still buy Wizard, but it's very much out of a sense of loyalty more than anything else. All of the news that "breaks" in the magazine has already broken online, sometimes weeks and weeks before. The Internet will do that to you. But I love print, darn it, and having a magazine about comics is just...comforting, I guess. But the magazine has gone through many face lifts since that mythical issue Zero, and the latest incarnation of the book is flimsy and thin and all over the place (kinda like my posts!). There are an inordinate amount of grammatical errors, and their new "Countdown" style (they list the 50 hottest things in fandom and rank them--sometimes these things are covered in a couple of sentences, sometimes it's a couple of spreads) just doesn't work for me. And last week's issue featured the biggest change since the magazine started--the elimination of the price guide. Now, I'm a bit conflicted (read: this is going to sound hypocritical of me) in that, I hate price guides because of what they say about the industry. People who buy a boat load of books, only to sell them online at marked-up prices should have to spend a night over at the Goon's apartment, tied to a chair. I don't get--and I never will get--the whole, "hot recent release" thing. How can something that was produced in the low-100,000 copy range, only a few weeks previous, be worth anything over cover price? Old comics are expensive because there aren't as many of them. Old comics in good condition sell for premiums because there are even fewer of those. This makes sense to me. A book that "sold out" a week ago, going for $100 on eBay? That doesn't make sense to me. And that's always been (one of) the gripes with Wizard. They flamed the fires of over-hyped, over-priced comics and their immediate "collectibility." So, getting rid of the price guide is something I should be on board with, right? If I were a more...reasonably sane...person, sure. But, I'm not, and I hate the fact that the price guide section is gone. And, being that I hate price guides to begin with, you understand my quandary. And my hypocrisy. I'm basically annoyed at Wizard for getting rid of the thing I think does the most damage to the comics industry. But, then there's my point again about being who you are. Wizard is not The Comics Journal, and their fan base doesn't want them to be, so in-depth interviews and analyses of creators and their work is out of the question. It is not Newsarama, so "late-breaking news" is beyond the realm of what the publisher is capable of producing in order to offer a better product than the various online entities that exist. 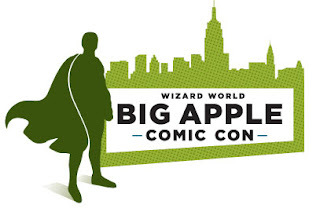 What Wizard does--better than anyone else--is drive the comics collecting market. And I think they should stay in that game, because it's one they created. I say, keep the guide, but level out the prices. Comics aren't stocks, and they should not be treated as such. Prices should stay stable, and any book printed in the past six months cannot be considered "valuable." Instead of changing the format into something completely new and different...I'm saying change the format you have. Keep a price guide, but include more books, and more kinds of books--list indy titles in the guide, for example. And feature interviews with creators that aren't as well known as Bendis and Brubaker and Fraction. I'm not saying get rid of the mainstream altogether--I'm saying spend some more pages covering the smaller publishers. If I want to know what Bendis is going to do next, I can go on a handful of comics sites online, or I can go to his Twitter page and find out what he did five minutes ago! Talk about late breaking news. So, Wizard has a bit of an identity crisis, and they need to figure out how to make things right again. Publishing stinks right now, and the simple fact that they come out with a new issue every month alone tells you how popular they still are. So, there's something to build on, and with. But the one thing that separates Wizard from the online news sites is the price guide. Newsarama and CBR don't have guides. None of the sites do. By getting rid of theirs, Wizard is taking away the one thing they have over those places; the one thing that makes them a uniquely different entity in the world of comics. I think Wizard's content needs to grow up. They need to take the red pen to the poop jokes, and they need to start sharing the wealth with smaller publishing houses. The day of the Wizard exclusive announcement from Marvel and DC is over, and they need to deal with that. Which leads me to my final point. Wizard needs to stay in the middle. Unlike The Comics Journal, who tend to brush off anything with punching and kicking and capes as being juvenile. And unlike Comics Buyer's Guide, who focus on older books and creators, and tend not to delve very far into the indy titles. Wizard can be both things. They have the resources, clearly, and their people are passionate about comics. But just because Superman isn't in it, doesn't mean it's not a comic. There was a great mag that tried to straddle both worlds (Comics Foundry), and they had to close up shop after just a few (excellent) issues. They were hit and miss sometimes, but the majority of what they produced was great, and it seemed like the magazine was written for people like me--the fan of the cheapest, black and white-iest indies and the biggest, honking-est superhero punch fests around. And I think the comics industry needs something like that. I hope Wizard finds a nice middle ground, because if they do--they will be the only game in town.